We are pleased to announce that Laura McCormack has been named our new Director of Campus Ministry. 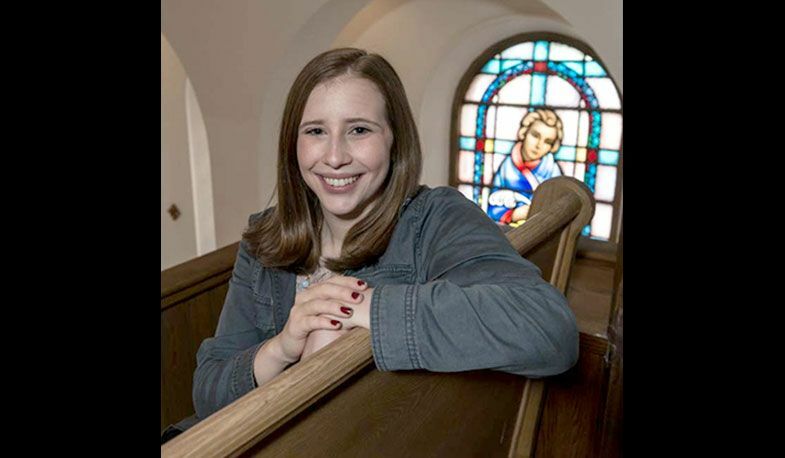 Laura will join the Office of Ignatian Mission & Identity in August and serve as the primary force behind spiritual formation programming for students, including retreats, community-wide Masses/prayer services, and other opportunities to engage in Ignatian spirituality. Additionally, she will lead the practice of our daily Examen. Her appointment comes as the result of a national search that yielded several highly-qualified candidates. A native of Gaithersburg, Maryland, Laura graduated from Loyola University Maryland with a Bachelor of Arts in English. As a student, she was involved with music ministry, liturgy, and retreats, which later sparked her interest in pursuing a career in ministry. Upon graduating from Loyola, Laura spent two years with Teach for America in Charlotte, North Carolina, as a high school English teacher, earning her Graduate Certificate in Teaching from the University of North Carolina at Charlotte. Laura is now finishing her Master of Divinity at the Boston College School of Theology and Ministry (STM). As a graduate student, she has served as the liturgy graduate assistant for the STM, a retreat director for BC's Kairos program, and completed her professional ministry practicum as a teacher at a Catholic primary school in Kigali, Rwanda. After seven years of formation in the Ignatian tradition, she is delighted to be returning to Charm City to join the team at Loyola Blakefield and to bring her passion for working with young people to a Jesuit school community. “I'm thrilled to be joining the community at Loyola Blakefield as a part of the Ignatian Mission and Identity team,” said Laura. “I'm especially excited about the opportunity to do ministry with young men—to meet them where they are in their faith journey, to accompany them as they seek answers to the meaningful questions of life, and to open their eyes to the ways in which they might seek and find God in all things." Please join us in welcoming Laura to Loyola.